manage smarter and grow your business faster, in-store and on the web. 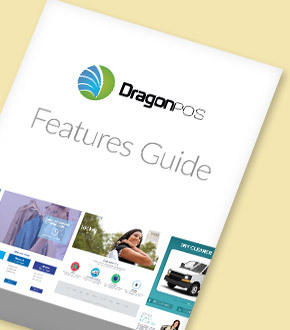 At DragonPOS, we've reimagined the point of sale system for dry cleaners and laundry centers to save time, touches and keypad taps. Quicker check out makes customers happy and increased functionality gives you the power to grow your business. from home, or on the road all for one single price. DragonPOS is a web based point of sale system that makes it simple to manage your customers and keep them coming back to your store. It works on any Windows based PC and is so easy to use you can get your staff breezing through customers and item entry in no time. DragonPOS has great hardware bundles, or can easily connect to equipment you probably already own. 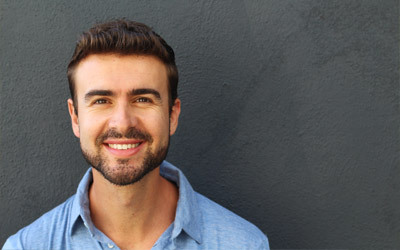 DragonPOS also offers simple flat-rate credit card integrated payment platform to quickly process in-store and online customers safe and secure. DragonPOS offers remote installation for every customer. Once your order is complete, DragonPOS experts will help you set up your system and train your staff. Updates to the DragonPOS platform are free and automatic, so you're always running on the most recent version, and you'll never pay for an update again. Customer support is U.S. based and always included. Create custom items, fabrics and colors unique to your operation. Easily manage complex multi-piece school and military uniforms. Find your customers quickly through several easy to use look up fields or simply scan their pick-up receipt barcode. Easily modify prices and add notes to items checked in for special care instructions, discounts or offers. Add discounts and loyalty coupons on the fly or as part of a customer's account. Keep your customers coming back for more, increasing your sales and revenue. DragonPOS supports multiple pricing structures for different account types or cleaning services. Assign your customers once and done. Items ready ahead of time, or need to contact the customer, DragonPOS sends free automatic text & emails, keeping your customers informed. Reduce your receivables and let your customers take advantage of reward points. DragonPOS can provide simple flat-rates or can integrate with your processor, for quick check out. While mistakes may happen, keep your customers coming back by issuing store credits instead of refunds , easily track transactions from start to finish. Create user accounts and define permissions for each of your staff depending on their position. Keep sensitive information hidden and secure. Reduce errors, theft and discrepancies through recording transactions and payments unique to each user.